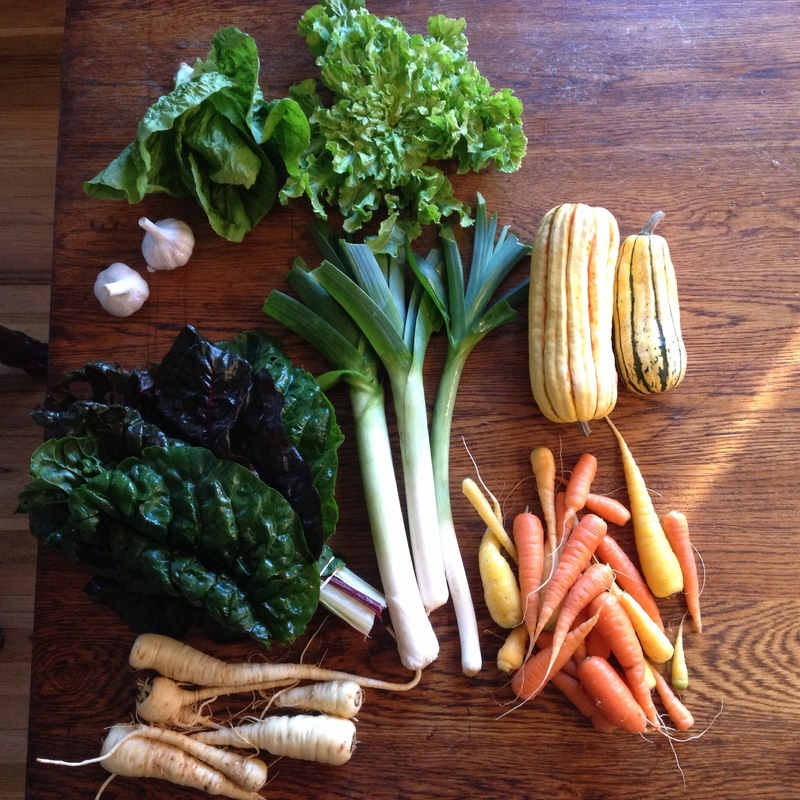 Today’s share is similar to Monday’s except you have chard instead of mustard greens and no radishes – so look back at that post for some ideas and info. Remember that there is no share next week, and then the last share is the week after. We had a light frost a few weeks ago, but it was not nearly as heavy and picturesque as the frost from this harvest morning. I had to wait for the sun to thaw out the greens before harvesting them. It was the first harvest which necessitated a lot of hand-warming breaks and exercises. But I’m happy to have the sun back after a long grey spell. 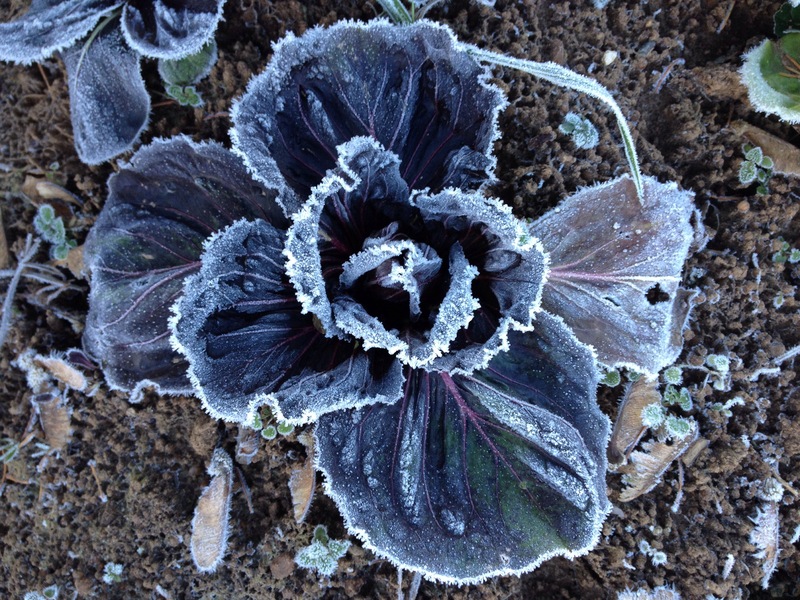 And the frosts help the winter crops become sweeter. Do you notice a difference in the carrots? Happy Thanksgiving and see you in two weeks!